Dr. Lamothe is a licensed, board-certified Naturopathic Physician and founder of and pioneering physician in the field of Naturopathic Dermatology. She completed her Degree of Bachelor of Science in Biology and premedical training at Worcester State College (Worcester, MA) and her Degree of Doctor of Naturopathic Medicine (ND) at Bastyr University (Seattle, WA). She received board certification from the North American Board of Naturopathic Examiners (NABNE) and is licensed by the Washington State Department of Health to practice as a Naturopathic Doctor. Dr. Lamothe is an active member of the Society for Investigative Dermatology. Dr. Lamothe has extensive experience in managing simple to complex dermatological conditions and their related disorders and imbalances in women, men and children. Having been personally affected by skin problems which conventional medicine could not effectively treat, she discovered a natural means to their resolution. Since then she has been investigating, developing and implementing natural methods for dermatological health so that others may experience relief from skin conditions through holistic treatment. To provide patients with working alternatives to some of the harsher topical synthetic preparations, Dr. Lamothe produces her own line of Naturopathic Dermatology Skin Care based upon her research and clinical experience with dermatologic conditions that are considered difficult to manage. She combines the use of these uniquely formulated topicals with a total wellness approach to skin health by uncovering the root of disturbance and treating the entire individual. Dr. Lamothe has experience in the pharmaceutical and natural supplement fields, has studied under Naturopathic Physicians and Medical Doctors and is a former personal physical fitness trainer. 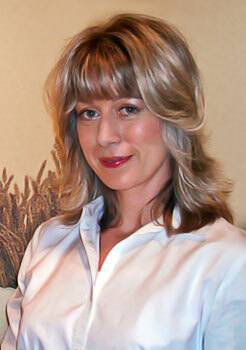 She has worked in the production of bio-identical hormones and dermatologic preparations in pharmaceutical compounding and provided education for healthcare practitioners concerning the use of herbal and nutrient therapy in combination with and independent of the use of bio-identical hormone replacement therapy (BHRT) in the treatment of hormonal imbalance, dermatologic conditions and chronic diseases. At her practice she sees patients of all ages for dermatological concerns and women’s and general health care. Having given lectures, workshops and seminars to health professionals, students and the general public, Dr. Lamothe enjoys teaching and participating in speaking engagements. Other teaching experience includes Infectious Diseases Laboratory, Clinical Laboratory Diagnosis, Physical Clinical Diagnosis and Cell Biology.